Deluxue New Labyrinth Gaming Pieces? Count Us In! So, the Labyrinth is a piece of cake, is it? Well, let’s see how you deal with this little slice…Have you taken on the awesome Labyrinth Boardgame from RiverHorse yet? How else would you be able to take on the Jareth and defeat him to save Toby like in the cult 80s classic?! Having had this awesome boardgame in our collection for over a year now (where has that time gone?! 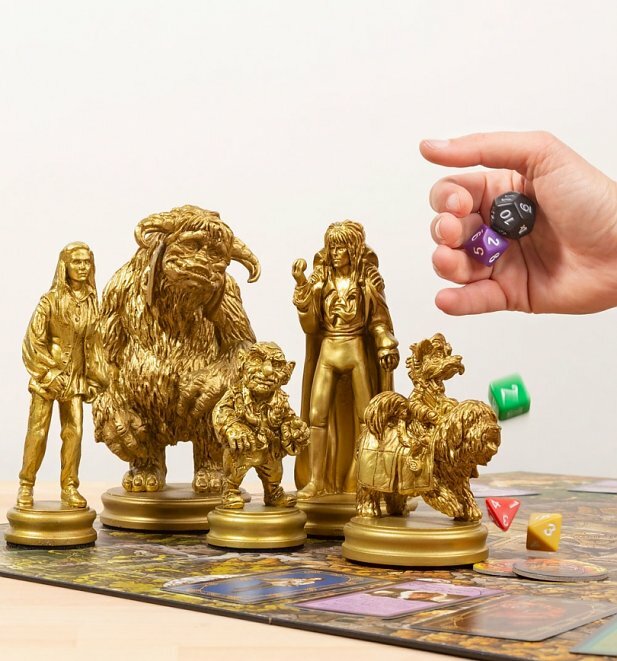 ), we’ve taken this game to a whole new level with some amazing Labyrinth Deluxe Gaming Pieces! 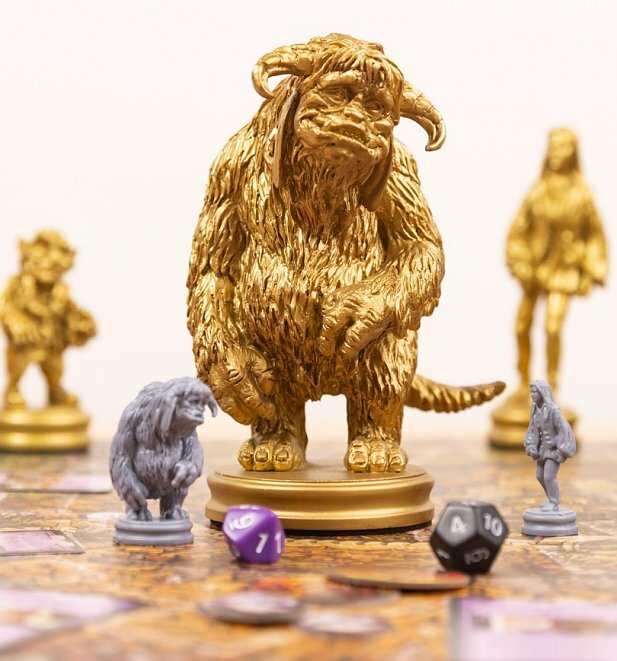 Perfect additions to Labyrinth The Board Game or for decorative use, these stunning new pieces are finished in metallic gold and have a soft felt base for a premium look and feel. Featuring the most iconic characters from this 80s classic, we love the fantastic detail and huuuuge collectability of these latest additions. 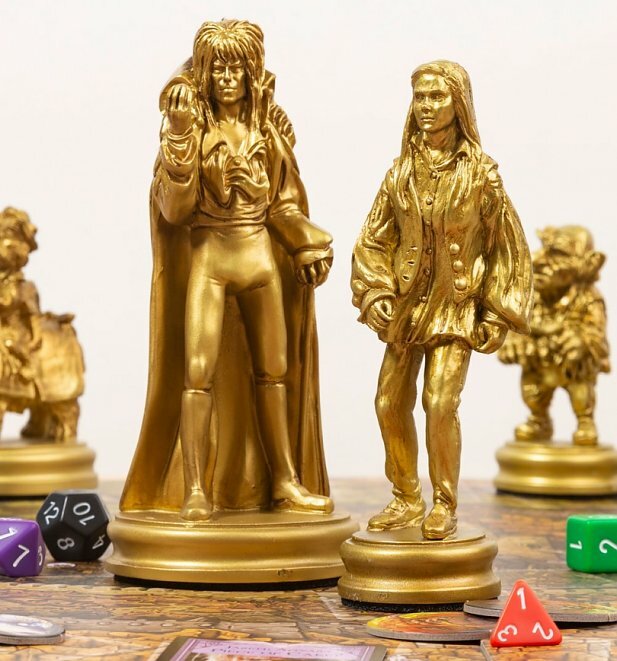 Sure to take your next game night to whole new levels, these little beauties will also make great additions to ny Labyrinth fans home and will keep you singing Dance magic, dance everytime you see them! 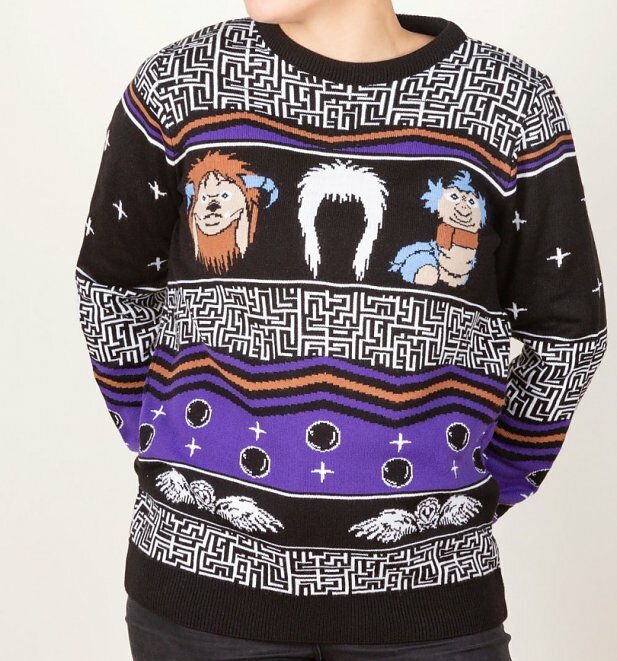 Looking for add some Labyrinth magic into your wardrobe this festive season? We got you! Check our our exclusive new Labyritnh Christmas Jumper. The ultimate 80s xmas attire or what?! For more details and to pick up a set, head over to TruffleShuffle or click any of the images above. See you there!